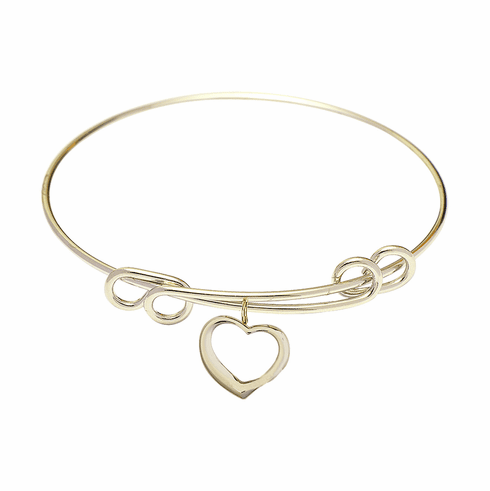 These beautiful 14kt gold-filled charms come on a bangle bracelet. The gold round double loop bangles are made with Hamilton gold, which is plated in rich gold and compliments our new 14kt gold-filled charms. All handcrafted religious bracelets are made in the USA by Bliss Manufacturing and come in a nice gift box. They make wonderful birthday, just because or First Communion gifts. Bliss Manufacturing, a more than 100-year-old, family-owned company, makes all of its jewelry in the U.S.A. And because we make all of our jewelry, we are adding new designs daily, especially Cross medals. We currently offer more than 450 different Cross medals.